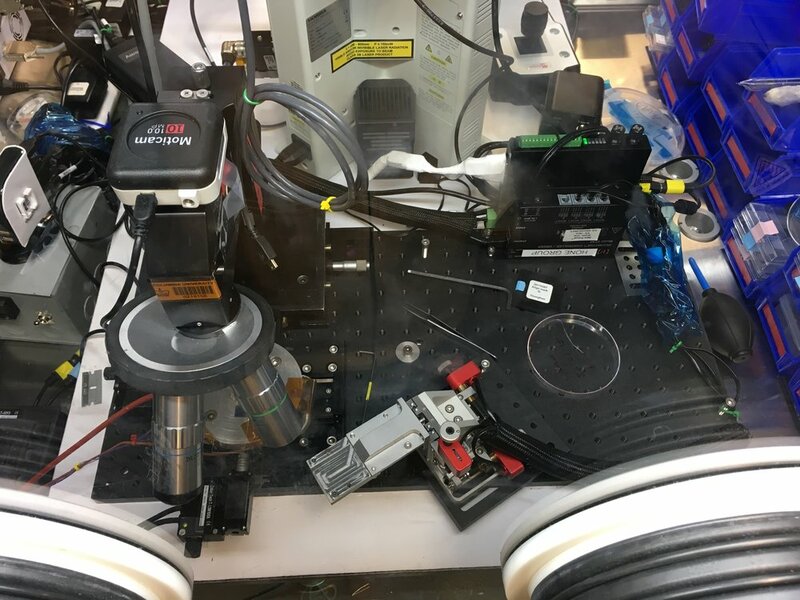 The autofinder is a microscope with computer-controlled xyz axes and an additional remote-controlled micromanipulator with 0.5 micron precision. The stage has a heater and vacuum chuck and can be heated above 200 C. The autofinder is used to automatically search SiO2/Si chips for mechanically exfoliated flakes of 2d materials and subsequently pick up and transfer flakes using the manipulator. There are two autofinders available to use in SMCL glove box station.